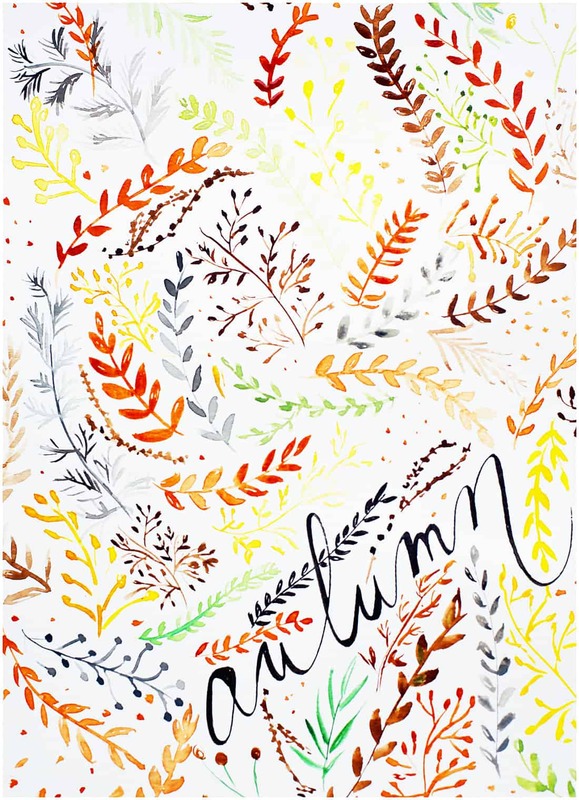 FREE AUTUMN PRINTABLE is here! Happy first day of October guys! I hardly believe that we stepped into the month of October already. And not only it’s hard to believe that we are in October, but here in VA, the real October weather kicked in today, too. It’s time for my lovely boots and jackets. 🙂 I love me some autumn dresses with my riding boots! 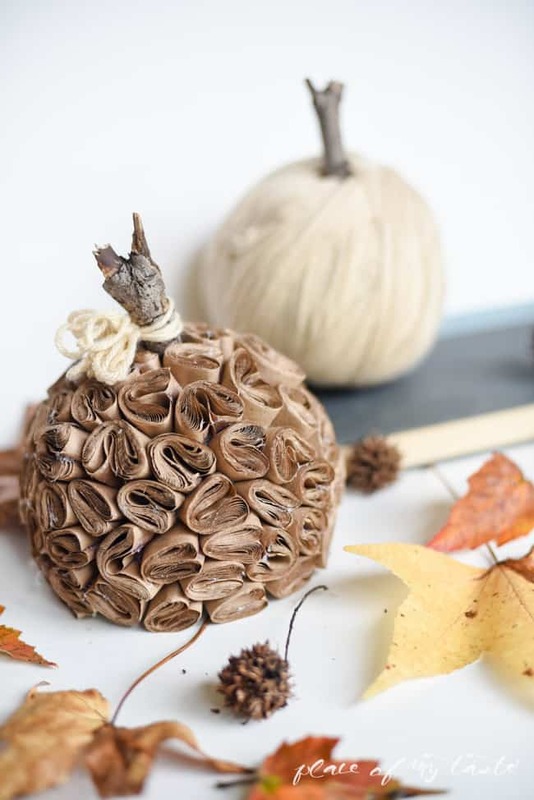 This week was a bit busy, but I shared my cute and easy BROWN PAPER PUMPKIN that you can recreate to decorate your home with. It’s super fun to make even with kids! Just grab a few rolls of brown paper on a rainy Ocotber afternoon and craft away. 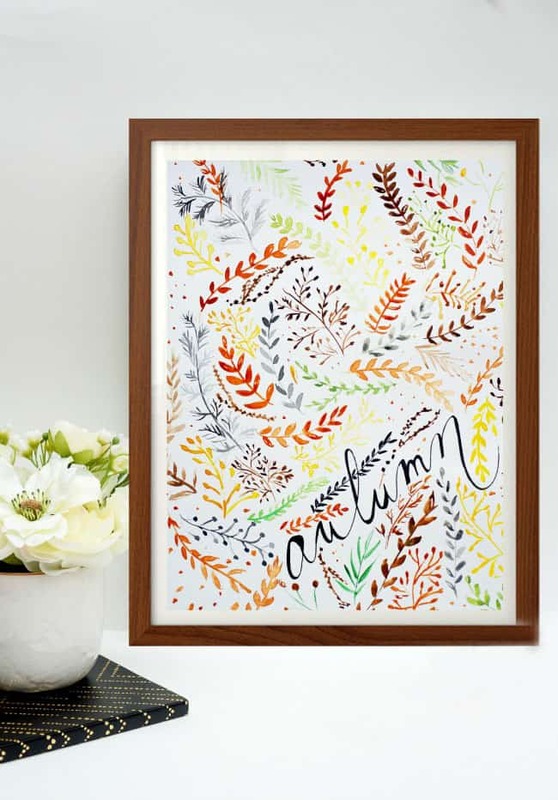 But I know you are here today for my pretty FREE Autumn printable! And before you wait more, you can snag a FREE copy of it. I love creating art, and it looks like you all like it, too:-) For this particular printable I used autumn and earthy colors. Super fun! I normally create all my printables with watercolor which is one of my favorite mediums! If you like this lovely wreath, it’s still available for a free download! And here are some more FREEBIES for you to enjoy! I love the brown paper pumpkin. It is rustic but still sophisticated! Easy, also, that anyone could make it in an hour or so while watching TV. Thanks – you are an inspiration. Hi, Anikó! Last year a used your freebie on my scrapbook layout! 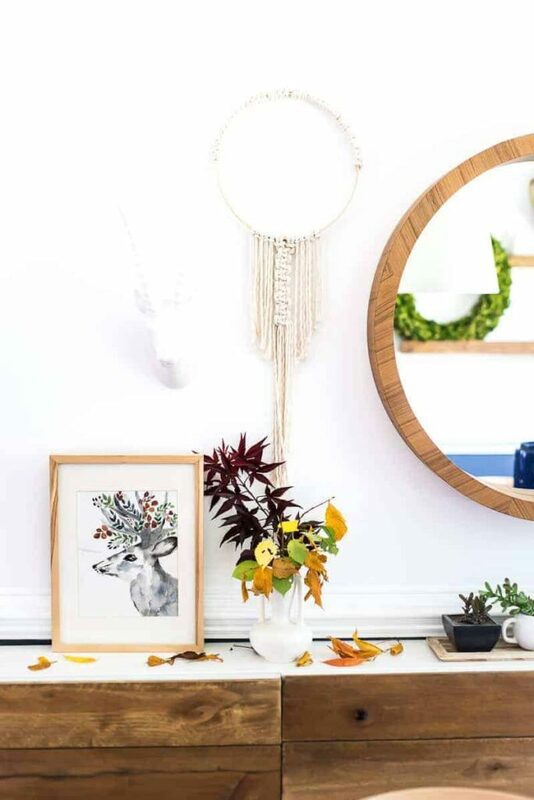 I loved this fall design inspiration!